What Is The Ascendant In Astrology? Your Rising Sign Style! WHAT IS A RISING SIGN, AND WHY DOES IT COUNT? The more you explore astrology the more complex it can seem. Not only do we have a zodiac sign (calculated by the Sun’s position on our birthday), we have a moon sign, Venus sign, Mercury, Saturn and many more. In fact, we’ve a sign allocated to each of the planet’s in our solar system (not to mention asteroids…). This makes us all very unique combinations. Who knew?!! The rising sign, or the ascendant, is calculated using your time of birth. Just enter accurate birth data into the Rising Sign Calculator below, or read: How Do I Work Out My Birth Chart? for a more thorough overview. Best Face Forward – Dress For Your Ascendant! Look up your ascendant with the Rising Sign Calculator, then refer to the twelve zodiac signs style guide to discover the Star Sign Style of the zodiac sign! Go to the free birth chart calculator, here! SEE CELEBRITY RISING SIGNS, HERE! Our zodiac sign, star sign or Sun sign is what we were born to do, and carries a deep message about our calling or destination in life. It’s our birthright, our philosophy, our guiding light. It reveals our characters principles and what we were born to do. Our rising sign is the mask we wear when we meet and greet people, it’s the character we take on when we’re going out into the world. The rising is also described as a ‘filter’ for the rest of our personality, the edge given to the other planets. It’s the style in which you operate, it touches the whole chart, and all of you. Your Moon Sign is what you carry in terms of your emotional temperament, who you are at home and with family or those you’re comfortable with day to day. You work colleagues might know your character more through your Moon sign than your Sun! Without wanting to confuse you further, when you find out your rising sign, you might want to also look at your Midheaven, too. It’s usually between the ten and two o’clock points on the birth chart, and will be marked ‘Mc’. The combination of the ascendant and midheaven shows us how we dress up and appear to the world. It is very much linked to our outward appearance. The Midheaven is how we channel and manifest our talents into society, and make a meaningful contribution to the world. More on the Midheaven coming soon – stick with Star Sign Style and don’t miss out! Many astrologers advise reading your forecast based on your rising sign as well as your Sun sign. That’s because horoscopes are written using the ascendant as a starting point to see how the planets are affecting you, with the Sun on the ascendant. 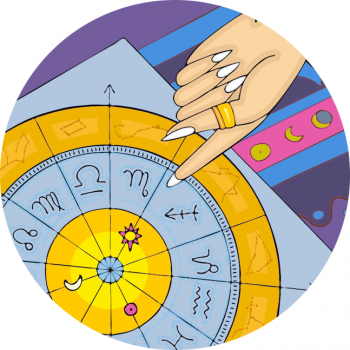 It might prove interesting and accurate to try… Read the latest horoscopes here.